This post is for those who have learned about the truth of the dairy industry and the health implications of eating dairy and who want to transition to a dairy-free diet but might not have the full information about what they can eat instead! 1. 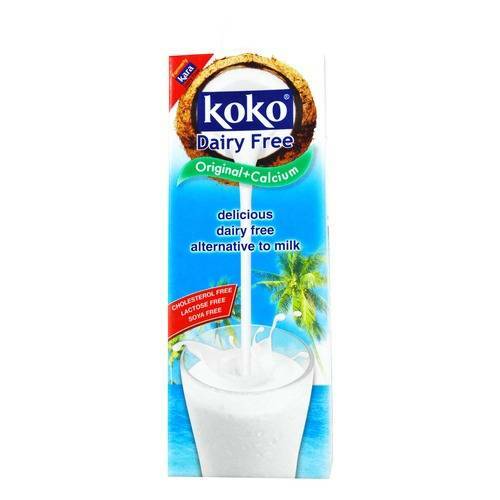 Koko Coconut milk. This is the best milk substitute I’ve found so far. I actually didn’t realise how good it was until someone at work told me that they put it in glass bottles to trick their kids into thinking it was real dairy milk and it worked! Then I actually thought I’d have a taste of it straight from the carton to test it and lo and behold it’s up there with semi-skimmed Donegal Creameries milk. Minus the puss and enslavement of innocent beings. This is perfect in tea, coffee, cereal, baking, or even on its own. It has no taste of coconut either by the way incase you thought that might be weird. It would be weird. However be warned people: make sure if you go out looking for this that you don’t get confused and buy the Alpro Coconut milk because it is vile. PS. You can get chocolate “milk” from this brand too and it is so delicious! If you’re feeling American! 2. 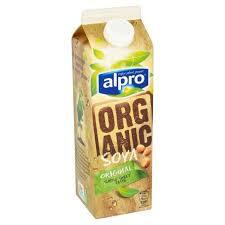 The next best one I would say is the Organic Alpro Soya milk. Not the non-organic one – just the organic one – they do taste different. I don’t know if you could drink this one straight like normal milk but it’s perfectly fine in tea and cereal and the like. Let me talk about cheese for a second here. Melted cheese is not an easy thing to replicate and I havn’t come across many good vegan versions – however – I have never looked for them or bought them. My only time experiencing melted vegan cheese was when I ordered a vegan pizza in England when I lived there. The first time it was lovely, the second time it was absolutely vile. They were from two different restaurants though and more than likely used different “cheeses”. So if you are obsessed with melted cheese you are just going to have to wean yourself off it. Think of the puss and the scabby udders and the poor cows. Now I have only experienced vegan cheese cold once and I was very very impressed with this one. 1. 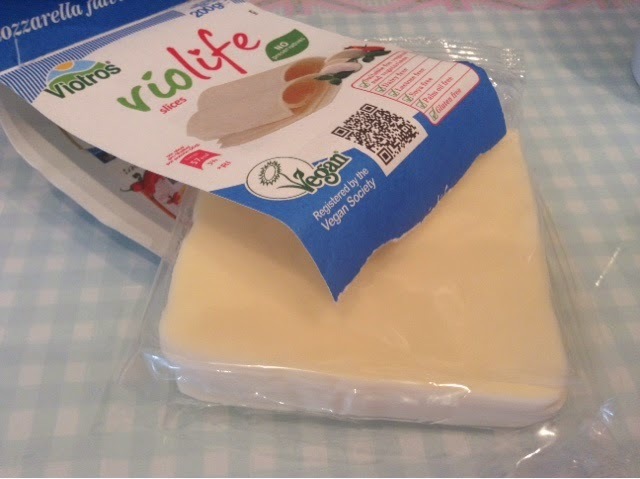 Violife cheese slices. I bought these once in London just out of curiosity to see if I could replicate a ham and cheese sandwich, And I could! It was amazing actually how much it reminded me of sliced cheese. I had the mozzerella flavoured one and I really liked it. For texture it was identical (in my opinion), and in flavour, it was definitely like a cheap sliced-cheese, but very authentic. So if people like their cheese sandwiches, this is your go-to product! I didn’t try it melted but if anyone likes cheese toasties and tries it with this please let me know how you get on. 1. 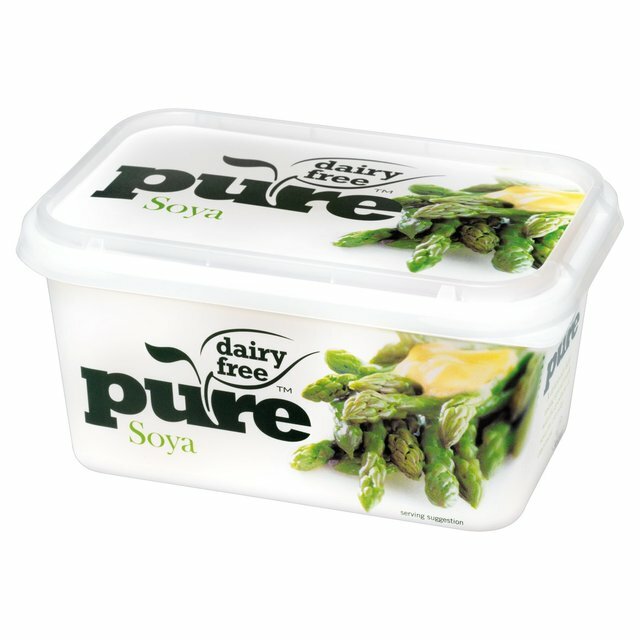 Pure Soya butter. This stuff is an all-round winner. It tastes like real butter, it’s soft, and it’s cheaper than real butter! (Where we live anyway) My mum buys this now instead of normal butter for herself, myself and my dad. The boys are still afraid of anything that isn’t “normal”. Be careful not to buy the olive one instead because I have tried that and it’s not as good. The soya one is best. 1. I’ve only tried this once. 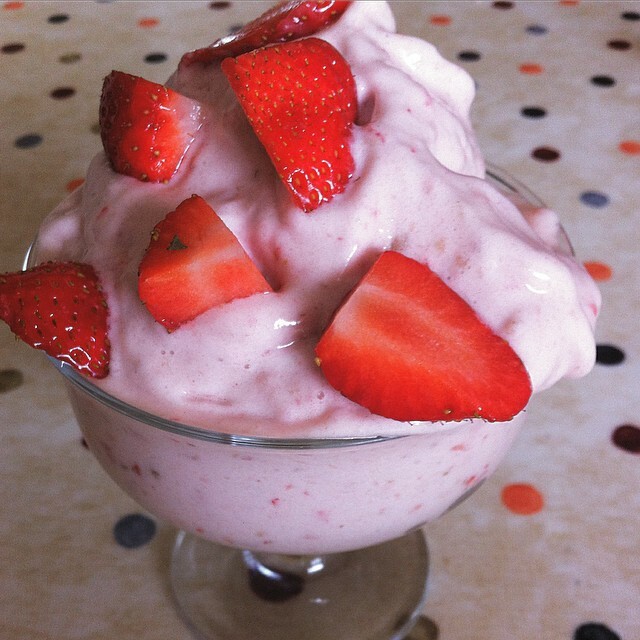 It was raw too – the only ingredients were cashews, water and vanilla! It was definitely identical to ice-cream because it was so rich I felt sick afterwards. But if you like ice-cream and can’t go without then this is for you. Except it costs a small fortune so maybe you should save it for special occasions and try my next idea instead! 2. Nana ice-cream! Or Nice cream! Whatever you want to call it…! But basically, to make a really healthy and really tasty homemade ice-cream, all you need to do is get some (5/6/7) frozen ripe bananas, chop them up and put them in a good blender, or food processor. Your blender/food processor needs to be very good for this because frozen bananas are rock hard. You should even let them sit for 10 minutes before blending and use a bit of water or milk add moisture and help them blend. You will need a tad bit of patience for this because the frozen bananas get stuck up above the blade a lot and you need to keep getting a spatula and pushing them down, but trust me, it’s worth it. The best thing is too, you can literally add anything you want to make different flavours. Cacao powder for chocolate, strawberries for strawberry flavour, raspberries for raspberry flavour (duh), peanut butter, etc etc. I would suggest though that you use dates or coconut sugar for a bit of extra sweetness. Oh and please for the love of God could people please learn what a ripe banana is! It is not yellow! It is speckled brown! With yellow underneath! If the stem or any part of the banana is green it is very under-ripe and the sugars won’t be developed and therefore the vitamins and minerals won’t be developed and it will be starchy and give you constipation and bad digestion! You will even know yourself by the smell, a ripe banana always smells sweet and banana-like whereas a yellow/green banana doesn’t really smell of anything except maybe twigs. Look this up if you must but please don’t make a banana smoothie or banana ice-cream with unripe bananas and then complain that it wasn’t nice. 1. This one is really easy because there are mayo substitutes everywhere! I just picked this one for the picture because it’s organic and organic is always better! But get whichever one you want because any fake mayo is better than the real thing. Actually I’m just thinking mayo isn’t actually dairy because it’s made from egg but it’s white so let’s classify it as the same for this occasion. But yeh this can be used as the real thing in sandwiches and to make nice dips and different sauces or spreads for wraps and stuff. 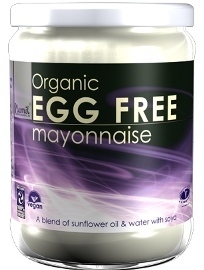 Some of the mayo substitutes can be slightly like salad cream though…which I love…but if you don’t – sorry. However, if you get some soya natural yoghurt and mix that in, it will neutralise the flavour a bit and make it more subtle and bland like real mayo! 1. Alpro yoghurts are excellent. 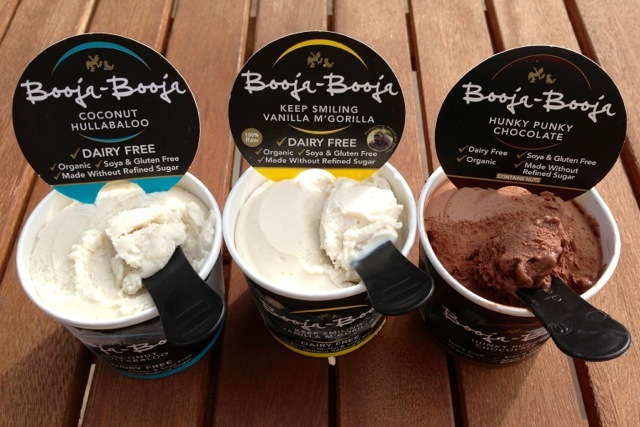 They come in all the different yoghurt flavours like fruit, berries etc plus natural, vanilla etc. There is no soya taste off it and the texture is identical to normal yoghurt. I can’t really find a fault with these. 2. 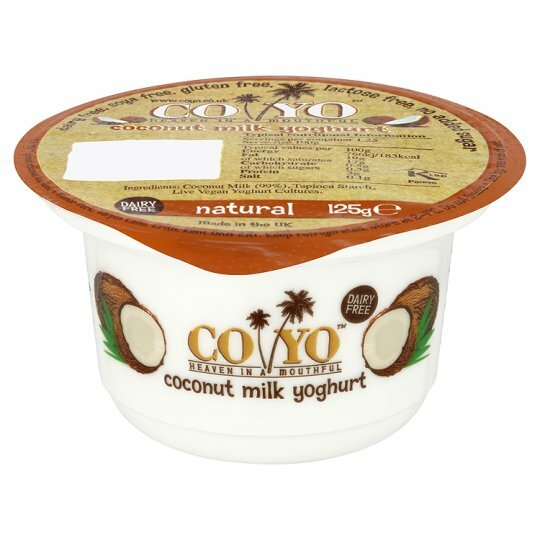 Coyo might not be as well known but they are really nice, They’re definitely different to normal yoghurts though so you need to be slightly open minded. They are really tasty though and come in loads of favours. The texture is kind of thick and it separates slightly but you just mix it all up and you’re good to go. It’s just another option anyway. So folks I hope you found this helpful! I just want to make it as easy as possible for anyone interested in trying out this lifestyle. Obviously there are plenty more dairy alternatives out there but these are the ones I use and that are available in Ireland from the supermarkets or health food shops. If you’re wondering about chocolate that’s not actually hard to get. Most dark chocolates are milk-free so just check the back of any dark chocolate! Green and Blacks is good but they’re all similar enough. If anyone has any questions please message me on Facebook or comment under this post or on YouTube or on Instagram. Hiya, where have you found the coconut yogurt? I am struggling to find in donegal. Thank you. 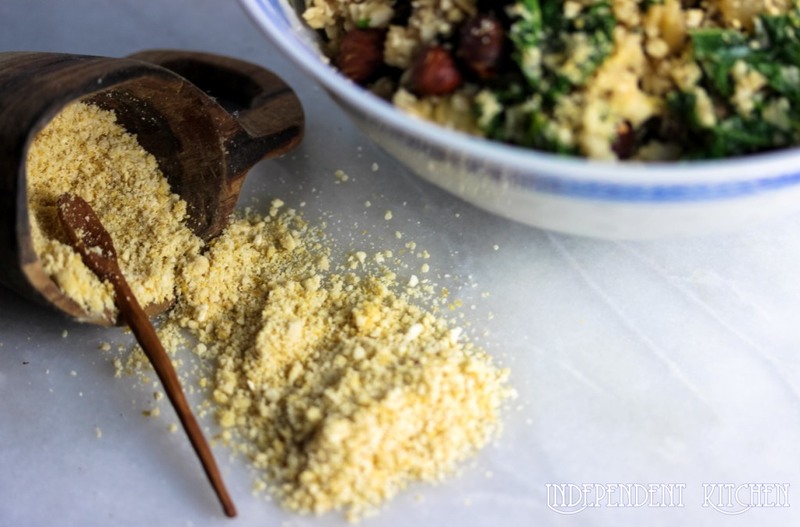 Oh and i will definitely be trying your friend’s parmesan cheese recipe!